Mission Santa Barbara was the tenth mission founded in the California mission chain. 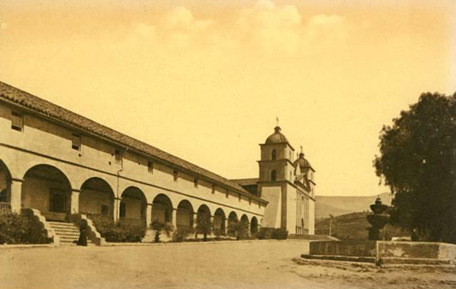 Father Fermin Lasuén, who succeeded Father Serra, had the honor of actually founding the Santa Barbara Mission in 1786. 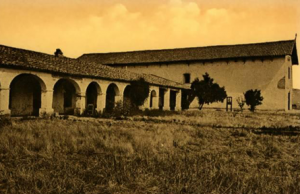 Mission Santa Barbara, the tenth mission in the California Mission Chain, was founded on the Feast of Saint Barbara, December 4th, 1786 by Father Fermin de Lasuén. The legend holds that, when still a girl, Saint Barbara was beheaded by her father for following the Christian Faith. In 1782, the Spanish Governor Felipe de Neve began the construction of the last military outpost to be built by Spain in the New World, the Royal Presidio of Santa Barbara, on a natural harbor along the coast. Father Junípero Serra, who had blessed the chosen site, also planned the construction of a new mission in the nearby area. 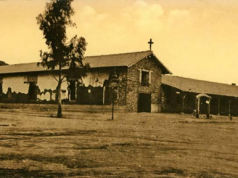 However, the opposition of Felipe de Neve delayed the construction of the new mission until on August 28, 1784, the Franciscan Friar passed away. Father Fermin Francisco de Lasuén succeeded to him as “Father Presidente” and in 1786 finally founded Mission Santa Barbara on a site located one mile and half inland from the Royal Presidio. The chosen site was halfway between the Pacific Ocean and the steeply-rising Santa Ynez Mountains near the area where today stands the city of Santa Barbara. Father Antonio Paterna was put in charge of the construction of the new mission. He erected the first buildings and made the first converts among the local Native Americans, the Chumash and Barbareño tribes. The early mission buildings were unpretending and made of adobe. During the first few years, the missionaries built three different churches, each larger than the previous one. All the early churches were leveled by earthquakes. The third church, built in 1794, was destroyed together with the other mission buildings during the great Santa Barbara Earthquake which occurred on December 21, 1812. After the earthquake, the construction of the current Mission was begun and completed in 1820. Today, Mission Santa Barbara looks much as it did when it was completed in 1820. In 1831, a second tower was added to the present church. It collapsed a year later and was rebuilt in 1833. The Church of Mission Santa Barbara is the only one in the Mission Chain to have two similar towers at its sides. Other than the beauty of the church itself, with stately lines and a Roman temple facade, Mission Santa Barbara is renowned for its astonishing water system of dams, reservoirs, and aqueducts built by the Chumash Indians converts. The extensive mission water system remains to this day and its largest reservoir, which was built in 1806 damming a canyon, has been incorporated into the modern water system of the city of Santa Barbara. 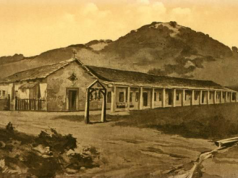 On August 17, 1833 the Mexican Congress approved the act known as “An Act for the Secularization of the Missions of California” and Father Presidente Narciso Durán moved the Mission Chain Headquarters to Santa Barbara Mission where he gathered more than 3,000 manuscripts and original documents disseminated in the other California Missions. Today, this incredible collection of thousands of original documents is maintained by the Santa Barbara Mission Archive-Library, an educational and historical research institution still led by its founders, the Franciscans Friars. 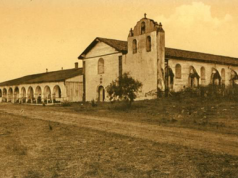 Mission Santa Barbara was secularized in 1834 and sold in 1846. In 1865, President Abraham Lincoln returned the Mission to the Catholic Church. Santa Barbara is the only California Mission that was never abandoned since the day of its foundation. The Mission is known as the “The Queen of Missions” for its beauty and it is certainly worth a visit. Today, the Mission stands in a residential area of the city of Santa Barbara and it is surrounded by public parks and a few public buildings. An active parish church serves the community and a retreat house is available for visiting guests.